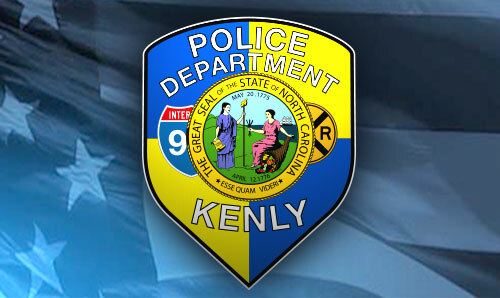 The Kenly Police Department is comprised of eight officers that are charged with the providing full-time public safety to the citizens of Kenly. The police department is located within Kenly Town Hall. For non-emergencies during regular business hours (8:00 am to 5:00 pm), please call town hall at 919-284-2116 and ask to speak with the officer on duty. For all emergencies, dial 911. 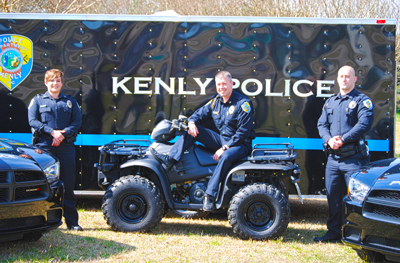 The primary mission of the Kenly Police Department is to assure both the real and perceived security of persons and property within the community. This is accomplished through a professional police organization dedicated to serving its citizens and providing necessary police services in a timely fashion. These services will be efficient and effective, rendered with the most effective expenditure of available resources, and delivered courteously and professionally. As your Chief of Police, please be assured that our department strives to deliver professional law enforcement services that are focused and sensitive to the needs of the community. We understand that building, cultivating and maintaining the community’s trust is a crucial element in crime reduction. Our officers are committed to serve our community as a whole. Our goal is to consistently provide a feeling of security to our citizens. We believe that our truest measure of success lies in a combination of the strength of relationship with our community and the tireless public safety services provided. Please know that we are always available and eager to serve. You may request and obtain a copy of a police report from the Kenly Police Department by contacting us by telephone at (919) 284-2116 or by fax (919) 284-5229. Report requests will be handled during normal business hours Monday through Friday 8:00 am to 5:00 pm.